Rachmaninoff: Rhapsody on a Theme of Paganini. Steven Mayer, piano. 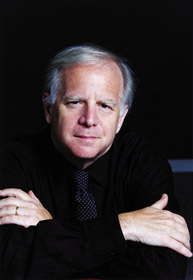 The Minnesota Orchestra, Leonard Slatkin, conductor. "Mention should be made of pianist Steven Mayer's engaging performance of the "Rhapsody on a Theme of Paganini for piano and orchestra. The notes were all in place, and where the tone is usually icy and brittle Mayer brought a welcome subtlety and nuance." Beethoven: Concerto No. 3. Steven Mayer, piano. 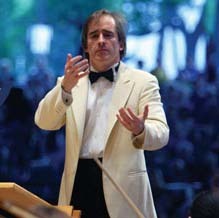 The Rotterdam Philharmonic, James Conlon, conductor. "Steven Mayer has gradually become a regular guest on the Leiden concert stage. He provided us with a surprise in his execution of the Concerto No. 3. After an energetically played first movement, he built up tension in a grand and fascinating manner, which found its natural release in an elated performance of the finale. Mayer is fortunately the kind of pianist who puts his virtuosity to the service of expression." Max Reger: Concerto in F Minor. Steven Mayer, piano. 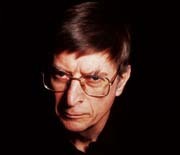 The San Francisco Symphony, Herbert Blomstedt, conductor. "Steven Mayer's performance of the work, elegantly conducted by Herbert Blomstedt, proved impressive and admirable. He has a big but unobtrusive technique, and he displayed rare musicianship. Note his name." Mozart: Concerto No. 10 for Two Pianos. Steven Mayer and John Browning, pianos. The Minnesota Orchestra, Raymond Leppard, conductor. "Steven Mayer and John Browning played the Mozart Concerto in fluent, sonorous fashion."